As consumers, we heavily rely on other people’s experiences of products and services to help our own decision making. It gives us an indication of what we might be buying and whether it’s worth parting with our hard-earned cash. In fact, we trust other people’s opinions so much that we don’t even have to know the person before we trust what they say! This is why a 5 star google rating and a glowing review is worth its weight in gold to any business. 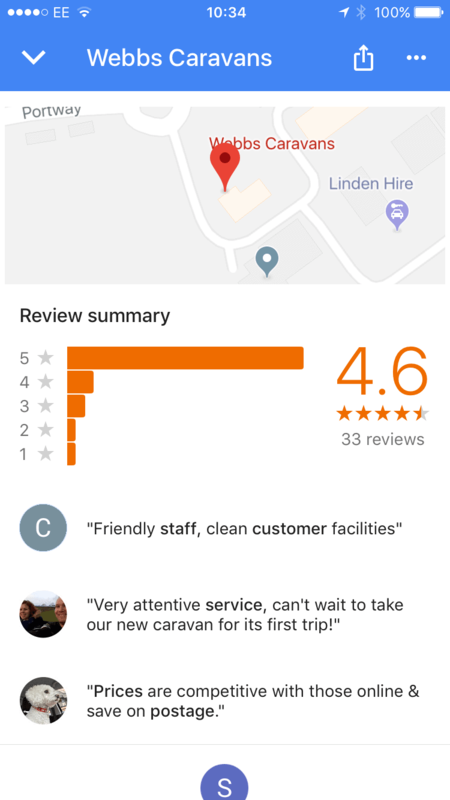 Equally a 1 star review can be damaging to your business and stop a potential customer from going any further than google before they look to your competitors instead. If your business has a negative google review, you can’t simply remove it. You can post a reply, but the review still remains public for all to see. You can, however, encourage positive reviews. It is entirely achievable to get lots of positive reviews very quickly. And if you do have an issue with the odd negative review, lots of positive reviews will soon push them so far down the list of reviews that they can’t be seen. It will also increase your overall rating so that pesky 1 star rating becomes unnoticeable. Getting a 5 star google rating is extremely easy and can have a huge impact on the number of leads you generate. When a consumer searches for a product or service using google, and there is a local business that can provide this product or service, google will display up to three ‘google places’ listings in the search results. See the example (right). It also displays a google rating (out of 5 stars) alongside each business. To increase the number of 5 star google ratings you receive, ask your happy customers to leave a review. Most happy customers are so pleased with the service they’ve received from you that they would be very pleased to show their gratitude in return. It’s best to ask the customer for a review while their positive experience is fresh in their mind. Customers will often feel like they want to give something in return to you for the great service you’ve given them! 7 out of 10 consumers will leave a review for a business if they’re asked to. You would’ve thought you could just send your happy customer a link to leave a review and hey presto. That’s unfortunately not the case. Google requires us to login to our google account to leave a review. This is a major hurdle when you’re trying to make it as easy as possible for people. And we know that ‘generally’ speaking, people have low attention spans when they’re online in this age of ‘snack content’. To get around this, you will need to give people a link to your google maps listing to leave a review using their phone. The beauty of this is that most people have a google maps app and therefore are already signed in to google. This bypasses any need to log in. Here’s a quick step-by-step process of how to get that link to send to your customers. 9. Now you’re ready to email your happy customer and they can leave a review with ease! You may wish to ask them to leave a review on their phone to ensure that they’re already signed in to google. 10. When your happy customer clicks the link it’ll take them to your business on google maps where they can leave a review! Hey presto – many 5 star google ratings and glowing reviews!